As winter plods along, I find myself gazing out at our screen porch often. It is such a lovely space to enjoy the outdoors in the spring, summer and fall. We frequently eat meals out here, enjoy our morning coffee, and curl up on the couch after dark to listen to the crazy sounds of the wildlife along the river. Even in the doldrums of winter, this space is inviting when the sun is shining. As a good Minnesotan, I can’t resist commenting on our weather…that is just what we do. While the east coast is expecting a “historic” storm and the national media is all abuzz, we are expecting anywhere from 9-15 inches of snow here on Sunday…just another wintery Minnesota day. For now, I will have to be content with admiring our screen porch from indoors. Lynell – I long to use our screened area too. Right now it is in disarray with a collection of used snow gear where the kids undress before coming in the house from sledding. We do similar things you mention when the wather is better. It is such a nice way to enjoy the outdoors without the summer son blinding us or beating down. I flew down ot Belize in December for a mission trip and at the international hub in Charlotte i met up with a couple from Minneapolis. They left the Minneapolis airport that same morning at 5AM with plans for the wife to snorkel and the husband to fly gish before dark the same day. She sat beside me on the plane and told me the forecast that day was for four to six inches of snow. Joe- they have scaled back the predictions of snow now to 6-12 inches for our area, but it is constantly changing so we will see. 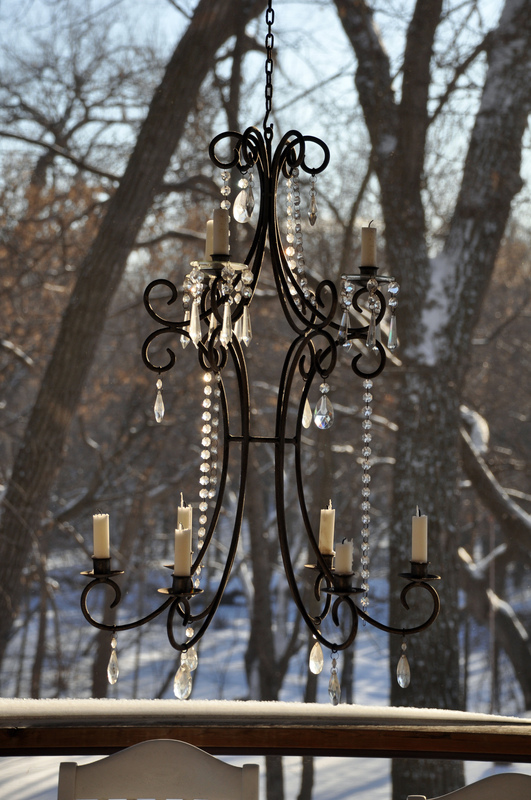 Minnesota winters are a bit extreme, but the days with sunshine definitely help. Screened rooms are the best, aren’t they? 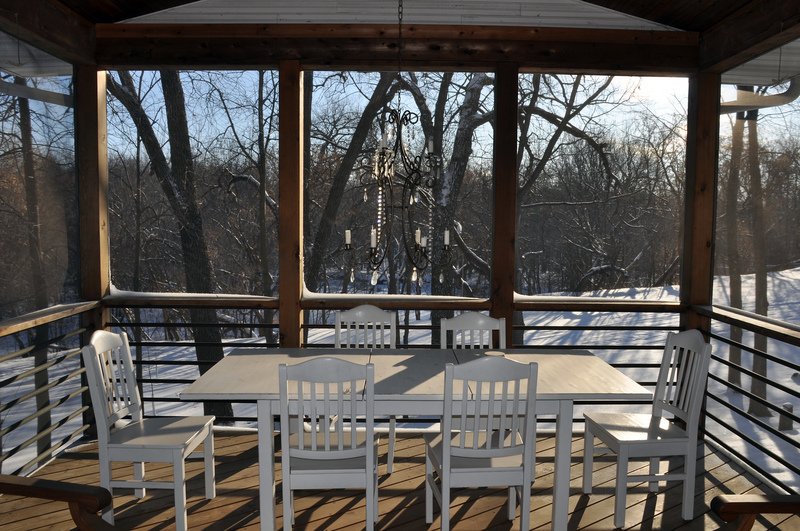 Another downside of Minnesota are the mosquitos…another reason we love our screened porch. It is a treat to share a part of your life on the farm. Julie & I have lived out of town on our 2 1/2 acres for about 30 yrs now. We had planted 3 & 4 rows of pines back then, and now they are 30 to 40 ft tall. We have also transplanted many trees into the yard, until now there is no room left for even a single tree. In fact, I have had to cut down about 60 large pines to give them some breathing space, as they grow larger. I can understand the tree “problem” you mentioned. We have planted quite a few trees along our driveway and along the southern border between the yard and field. As they continue to grow taller each year, I am already beginning to wonder whether we have overdone it. We will probably eventually be doing some thinning out like you have done. 🙂 Thanks for stopping by and I appreciate your comments!